Gino Mozzicato moved to the United States from Italy in 1968. Later in 1973, using his experience and expertise in baking, he and his wife Gisella founded Mozzicato Pastry Shop in Hartford, Connecticut. The pastry shop specialized in cakes, pastries, and cookies and also featured imported Italian confections. 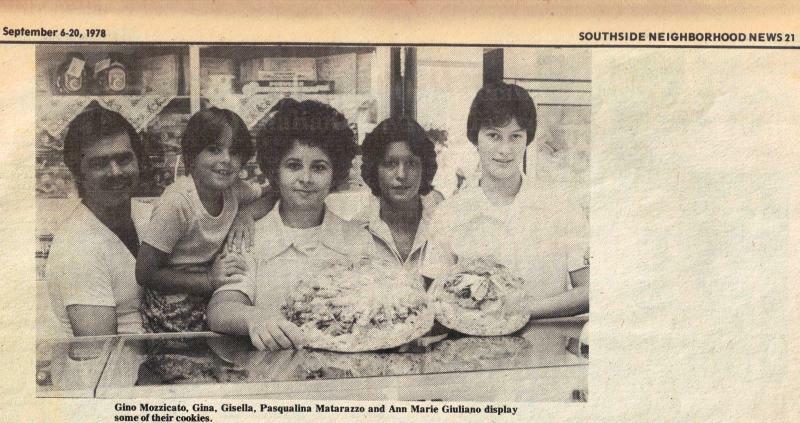 In 1975, Gino and Gisella purchased DePasquale Bakery, a neighboring business founded in 1908, which specialized in breads and rolls. 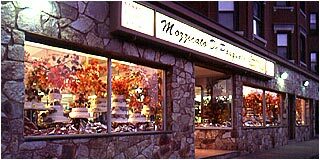 The Mozzicato's combined the two product lines, thus, becoming Mozzicato DePasquale Bakery and Pastry Shop as it is known and esteemed today. The bakery underwent an expansion to facilitate its rapid growth in 1978. 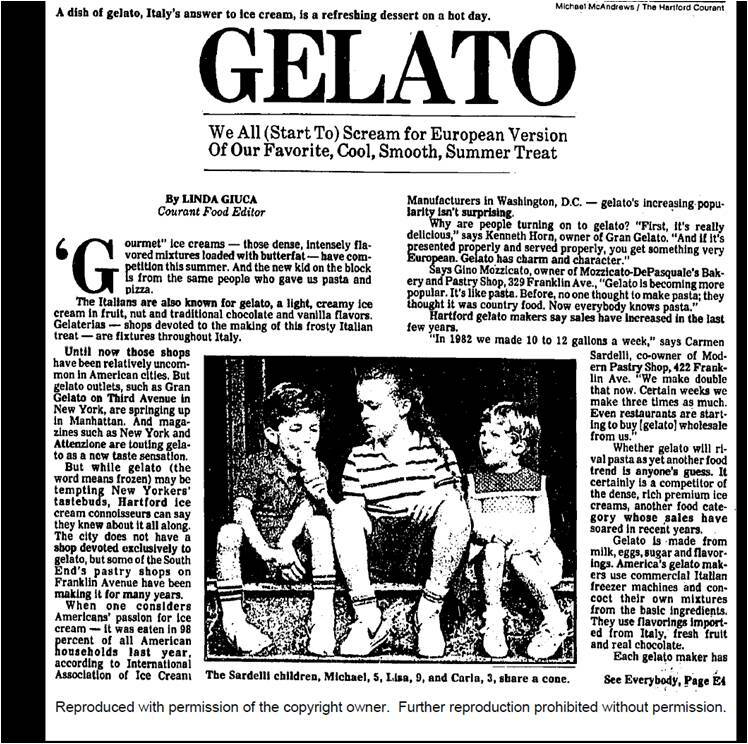 At this time, Gino and Gisella founded Mozzicato Caffé, a gathering place in an authentic Italian atmosphere, modeled after the many caffés of Italy. In 1993, Gino and Gisella along with their children, Gina, Paolo, and Rino expanded and renovated the bakery, dramatically increasing retail and production space. The bakery underwent yet another expansion in 2001. Mozzicato's continuously upgrades its technology while maintaining the old world skill which makes its products famous. 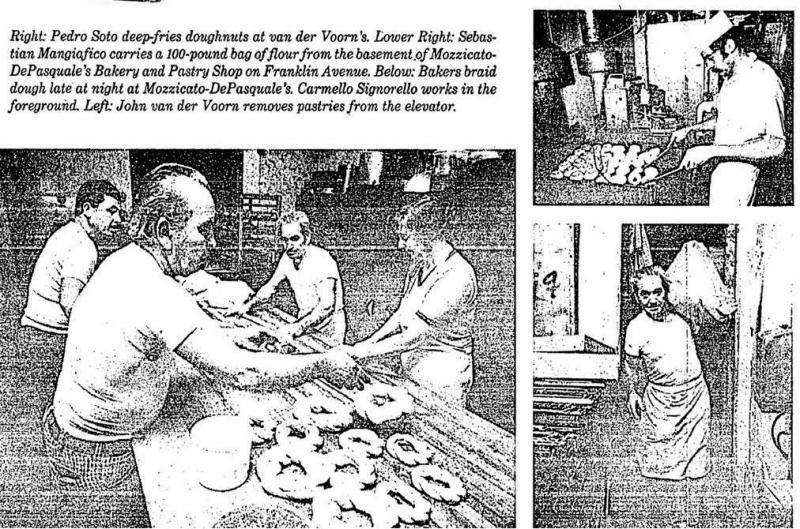 The Mozzicato family's commitment to quality, product authenticity and customer service has made Mozzicato DePasquale Bakery and Pastry Shop a Hartford institution for generations. Mozzicato's has repeatedly been voted "BEST BAKERY IN CONNECTICUT" by Connecticut Magazine and The Hartford Advocate. Mozzicato's is warmly known as a family business built on quality Italian baking and their clientele continues to grow in Connecticut and beyond. It's 4:30 a.m. in downtown Hartford. Before the cars and commuters and sidewalk jewelry vendors and youths with tape decks arrive, Main Street is a, quiet place.Only cliirping birds break the stlence. Around the corner on State Street, a couple of cars go by. A man sleeps on a bench inside a bus stop shelter. From an open window In the bulldlng above him comes a steady, unidentifiable clunk, clunk, clunk, clunk. Around the block at Sage-Allen and Co., a crew of six bakers arrives at the bakery at 2 a.m. Altlno Arruda, the.master baker, sets hts alarm clock for 1:30 a.m. in hls South End home. Shortly after the alarm goes off, the phone rings; bakers call one another to make sure they're all awake. Arruda's eight-month-old-baby sleeps through 'noise . He gets up by 5:30pm when Mrs. Arruda arrives home from her daytime job at the Sage-Allen restaurant. At 10 p.m., he goes to sleep for a few more hours.If he didn't break up his sleep, sayMrs. Arruda, It wouldn't work out as well. At 10:30 P..m. on a recent Frlday night, the night crew at Mozzicato-DePasquale's bakery Is making bread. The South End bakery employs bakers around the clock, and at night, the six person shift makes Sicilian, Italian and Portuguese bread. By Saturday morning at 9 or 10,the five men and one woman at the bakery will have baked 2,000 pounds of bread using 1,650 pounds of flour, all for use that day, says owner Gino Mozzicato. And when they finish, they go home to sleep. Joe Rocha, one of men, says he sleeps four to six hours in the morning. That's lt. In shops where making baked' goods from scratch is still the rule, bakers tend to follow topsy turvy schedules. Their hours are long and their job is strenuous. The deadline pressure is tremendous. No matter what is happening behind the scenes, the baked goods must reach the glass cases when cus­ tomers arc ready to buy. Downtown commuters will purchase van der Voorn's Danish, doughnuts, sweetrolls and muffins starting at 7:45 a.m. and settle down at their desks with pastry and coffee to ease Into their workday. Vander Voorn and Cruz are In the midst of racing through theirs. Their pace will only get more furi­ous as the morning progresses. The Dutch-born shop owner works six days a week, 12 hours a day In his small bakery. At 4 a.m. every day but Sunday, he zips down an uncongested Rt. 91 from his Windsor home and makes a detour to Park Street In Hartford where he picks up Cruz,his right-hand man. When the two men arrive at the shop, they begin their baking chores working mostly separately for a while. Cruz's first job is to take unbaked dinner rolls and sweet rolls made yesterday out of the refrigerator and put them In a proof box. Then he must make the bread doughs. Nearby, his boss is in the beginning stages of making Danish pastries. Having just made himself a cup of tea using hot tap water, John van der Voorn speedily slices a roll of Danish dough. The men know recipes and schedules by heart. Cruz and van der Voorn work at central butcher­ block work areas, surrounded by an oven, refrig­ erators and Industrial bakery equipment. The kitchen Is old but efficient. There are no chairs In the room; the bakers never sit while they work. Next, comes the bite-size Danish. Holding fruit filling in one hand, he throws a sweet dab on each piece of Danish dough on a tray with the finger of his oyhrt hand. Cruz then joins him folding up the traysful of tiny pastries. Teamwork is crucial in the kitchen. When Cruz's job leaves him with an idle moment, he turns to van der Voorn's work area to help.Daylight comes at 5:32 a.m. and the oven com­pletes its hour of preheating. The kitchen has got­ ten warm despite the fact that it's a pleasantly cool morning outside. Cruz and van der Voorn start glancing out the window on State Street for their two helpers. The men who are supposed to arrive at 6 a.m..hadn't shown up the previous day, van der Voorn said. The two men return to the bread dough. Begin­ning with the egg dough, the men start to weigh, cut and knead pieces of dough. Van der Voorn kneads with both hands as he looks out the window. The two helpers have apparently decided not to show up. While the bread won't be ready to bake for hours, the breakfast pastries are going in and com­ing out of the oven quickly now. From 7 a.m. on, van der. Voorn and Cruz accomplish numerous tasks quickly. Cruz continues cutting and kneading the rye bread with seeds. Van der Voorn fills Jlies. Cruz feeds more dough into a bread molder. Van der Voorn frosts cheese Danish and lemon cups. Cruz starts making doughnuts at the deep-fryer. Van der Voorn covers the white bread dough with plastic so that It doesn't get a draft. Cruz brushes apricot glaze on things coming out of the oven. At about 7:30 a.m., a truck is almost filled with pastries and ready to go down by elevator to the first floor store. Van der Voorn's wife Joyce has arrived to work in the store. At 7:40a.m. the couple are running trays In to glass case while customers lined up outside peer inside. Lights on. Front door open. And cash register -ringing. Now, says van der Voorn, he'll get really busy.